Sparrow Hospital received a large donation from Spirit Halloween. 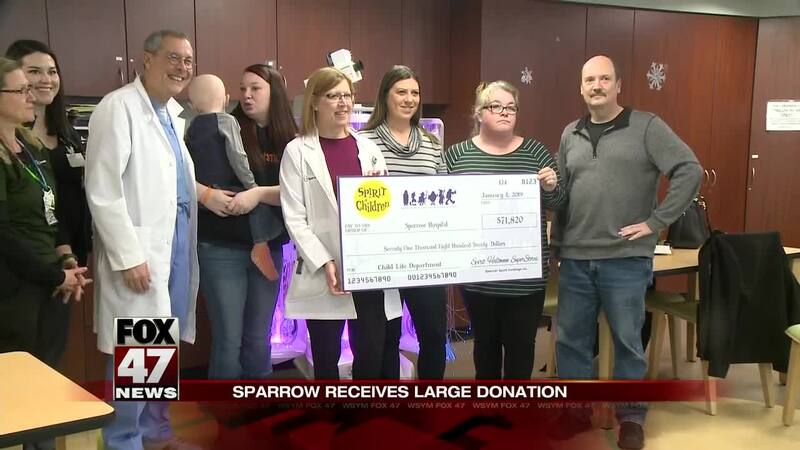 LANSING, Mich. — Sparrow Hospital received a large donation from Spirit Halloween. A little more than $71,000 was donated to the sparrow foundation for the Sparrow Children's Center. That frighteningly large chunk of money came from donations and sales last year at Lansing-area Spirit Halloween stores. Spirit Halloween is the largest Halloween specialty retailer in the country. It has raised more than $280,000 for Sparrow since 2007.